Piece of advice: If you are really serious about a career in this field we urge you to abstain from all the jargon and the absurd habit of sensationalizing every trivial piece of news! In today’s world, the medium that journalism uses for dissemination of news varies diversely and this includes – content published via newspapers and magazines (print), television and radio (broadcast) as well as the electronic media such as news websites and Smartphone applications. It involves working in areas such as reporting, writing, editing, photographing, broadcasting. This list is not exhaustive. Likewise it can be categorized into two types: the Print mode of journalism and its newer sibling the Electronic (online news, apps, videos, etc) mode. 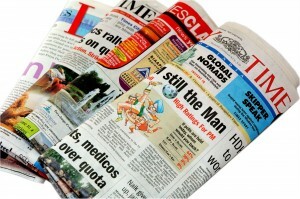 The traditional Print journalism is basically our daily newspapers, magazines and journals that are printed on paper. The type of work opportunities in the print journalism include reporters, columnists, correspondents, etc while in the electronic journalism includes working as jockeys, content managers, etc for radio, podcasts and most importantly the Web. Most career opportunities prevail in the web domain. Talented personnel are required to develop and maintain websites, content writers, content managers; social media managers, UI / UX developers, content researchers, correspondents and anchors for video bytes are in demand. Some news services predominantly operate only on the worldwide web with no print editions and also to newspaper and magazine agencies that have their own web editions for the netizens. There are several different forms of journalism – each with a target diverse audience. The press is also referred to as the fourth estate or the fourth power which acts as a watchdog on the workings of the government. Drone journalism – use of drones (quad copters) to capture journalistic footage. Gonzo journalism – gonzo journalism is a “highly personal style of reporting”. Investigative journalism – the use of investigation on a subject matter while uncovering news events. Photojournalism – the telling of a story through its images. Simply via capturing telling photographs. Yellow journalism / sensationalism – writing which emphasizes exaggerated claims or rumors. A career in this field is prestigious as well as well paid. Journalists play a pivotal role in the progress of the nation. The primitive purpose of journalism itself is to inform and interpret, educate and enlighten the masses. Opportunities for journalists are endless. This is a highly challenging profession and you may not get to work in a closed cabin in front of the computer. You may have to go to places that might prove fatal as well (such as war zones). Journalists specialize in diverse areas such as politics, finance, economics, investigation, culture and sports. The various degrees offered and their terminology is listed here for your understanding. The Bachelor of Journalism is a professional degree awarded to students who have studied journalism in a three or four year undergraduate program. Some schools / institutes do not award the B.J. degree. Instead they confer a Bachelor of Arts, Journalism (B.A.J.) or Bachelor of Science in Journalism (BSJ), etc that is often part of or in conjunction with a course of study in mass communication. In India, the Bachelor of Journalism is of 3 years duration in general. Journalism Courses in India are known by various names such as B.J. (Bachelor of Journalism), B.J. (Hons) (Bachelor of Journalism (Honors)), B.C.J. (Bachelor of Communication and Journalism), B.M.M. (Bachelor of Mass Media), B.J.M.C. (Bachelor of Journalism and Mass Communication), B.A. – J.M.C (Bachelor of Arts in Journalism and Mass Communication) and B.A. – Mass Communication (Bachelor of Arts in Mass Communication). Employability prospects vary by the reputation of the institute and course. More details about eligibility, job prospects, remuneration and places of study shall be discussed in our following articles. Stay tuned and subscribe to us.